Memorial International School is pleased to announce the start of the international week at our school. The international week is an opportunity to celebrate and appreciate the different nationalities of our students and staff. 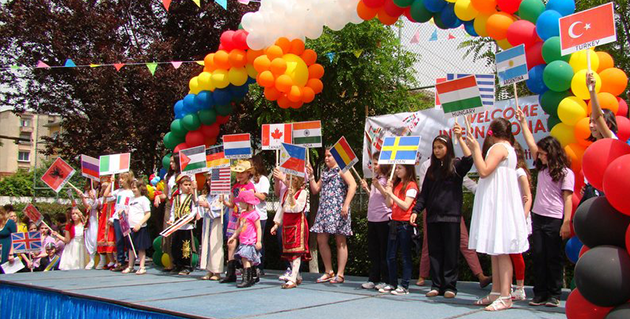 We are proud to have students from 22 different nationalities and this diversity deserves a memorable celebration. During the week different external professionals will be invited to the school to give a presentation to the students about their country providing information about university, culture and life in that country. These professionals will be from embassies, other schools, international organizations and charities. At the end of the week these professionals, the students, the directors and other people that are invited will get together to celebrate the international week in the school’s garden. Each country will have a stand which will have food, drinks and leaflets with information about that country. This celebration will allow one to learn about other cultures, their food, and lifestyle. There will be the opportunity to raise questions and enjoy a fun filled day with music and food in the presence of an international community. In this event many pictures will be taken in order to remember this unforgettable event and to keep a record of all the different nationalities that honored the school with their presence.